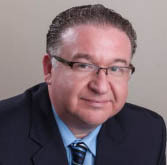 Child custody orders in California are carefully considered before being put into force. But, what if circumstances change? What if the factors that influenced the court in their findings become significantly different over time? Can an appeal be made to modify the custody order? In a word, YES! Here are some changes that can support the modification of previous orders, according to our child custody lawyers. As the child grows, they are likely to change their view of the arrangements. Maybe they desire to see the non-custodial parent more often. They may even decide that they want to live with them. They may also decide, or have legitimate reasons for not wanting to see them. The courts will listen to the child, depending on age and maturity, and may find grounds for the custody order to be modified. This is a very common problem. 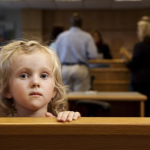 A non-custodial parent may have custody on Wednesday evenings and every other weekend. A change at their job now requires that the parent works late on Wednesday and throughout every weekend. Their new days off will be Monday and Tuesday. An appeal should be made to the court for a visitation schedule that allows the parent to keep their job and maintain a relationship with the child. 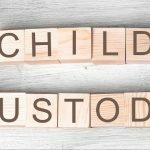 The non-custodial parent may have lived a considerable distance from the child, and therefore, was not granted custodial status for practical reasons. Having made the move to be closer to the child, the court can be petitioned for a change in custody arrangements, if all other factors are favorable. This would cover a lot of different scenarios. If the parent is not getting the child to school, or has developed a habit of getting them there late every day. The custodial parent may be dealing with substance abuse issues. Perhaps there are risky situations the child is being put in. 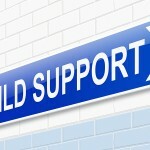 Maybe the child is not doing well in school, and the custodial parent is not taking steps to help. There are really a lot of situations that could be considered irresponsible. This situation can apply to a custodial or non-custodial parent. It’s a fact of life that people sometimes need to move for a different job, better cost of living, better support system, etc. 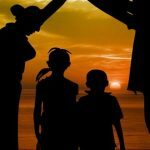 When it will affect a standing custody agreement, the court should be notified, and a new custody agreement drawn up to reflect the changes in circumstances. Hopefully, for the sake of your child, you are able to co-parent with your child’s other parent. Even in the best of cases, you should not assume cooperation when it comes to recognizing these changes in circumstances. You should go to the court with a child custody lawyer and ask them for a modification to the original orders. Be prepared to give your reasons, and make sure you are not acting to spite the other parent. If things have changed since the original orders, they can change again. Get it in writing from the courts.